As is obvious, I have an affinity for alliteration. 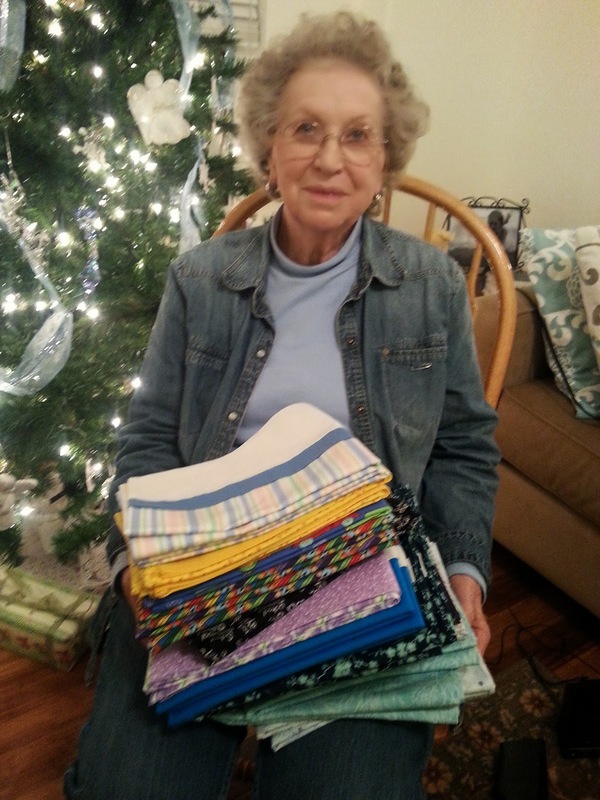 Grandma Janice is here for some of the holidays and she has been busy sewing. Here are a few of her favorite things...(I also enjoy using phrases from famous musicals when and wherever possible). She has made pajama bottoms, nightgowns, blankets and of course her famous 'cuffed pillow cases' In fact, as of 7:55 pm mountain standard time she has stitched up a whopping 64 of these heavenly head-holders. Here are her simple directions if you would like to give a quick, inexpensive, homemade gift. MATERIALS NEEDED: for one pillow case you need 30" fabric for case/base, 9" for cuff and 3" for accent cuff (these are all 42-45" wide fabric) STEP ONE: press all fabric. 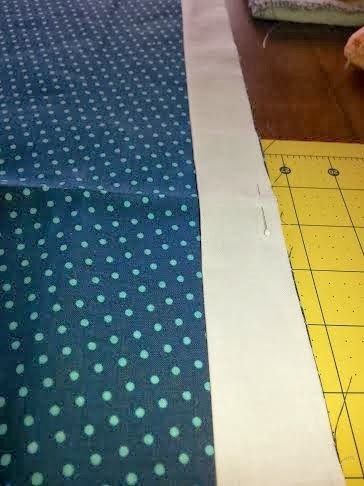 STEP THREE: lay base right side down (right side is away from you) pin raw edge to cuff and accent strip and pin all layers together. 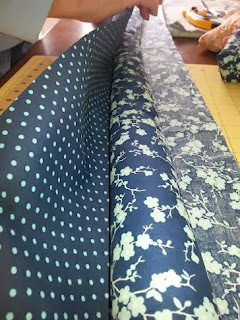 STEP FOUR: Starting at the bottom of base begin rolling towards the top where you have pinned until you are about 3 or 4" from the top (the cuff layer is exposed underneath your rolling, you should be able to see the bottom part of it). 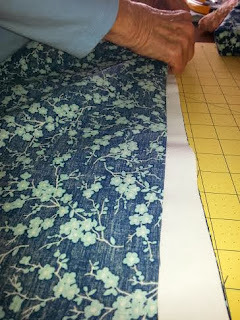 Once you are done rolling the grasp the cuff and roll it over the top and pin it to what you have already pinned which will now make your pillow case five layers thick. After this is all pinned stitch 1/4" seam across top of fabric. STEP SEVEN: Finish seam with a french seam or serging. 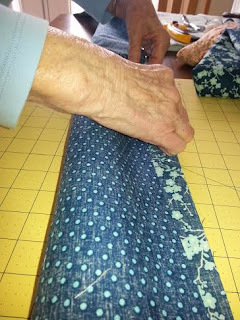 Finish the long seam first and then the shorter seam. 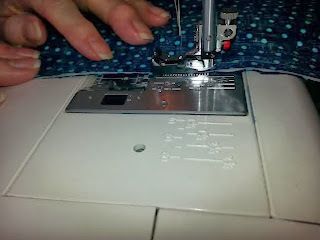 HOW TO MAKE A FRENCH SEAM: Stitch seam 1/3" wrong sides together on the long side first. Turn inside out and press. Stitch over that seam with a slightly larger or 1/2" seam. 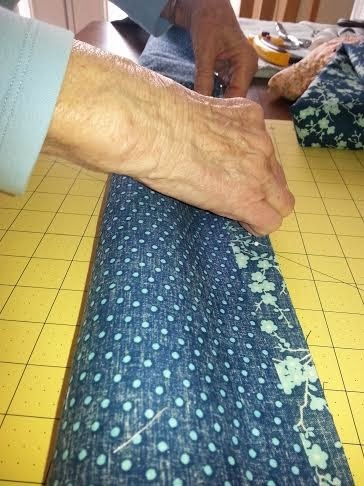 Turn back to wrong sides together and do the bottom seam in the same manner. In case anyone hasn't noticed my mother is the most incredibly amazing, talented woman in the world! Um I think we need some close up of those pillow cases! 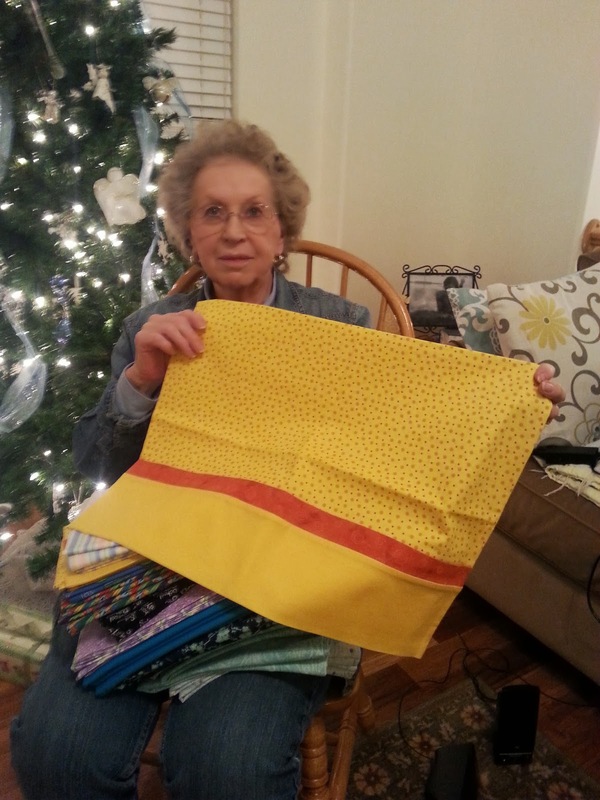 I need to see the fabric! !